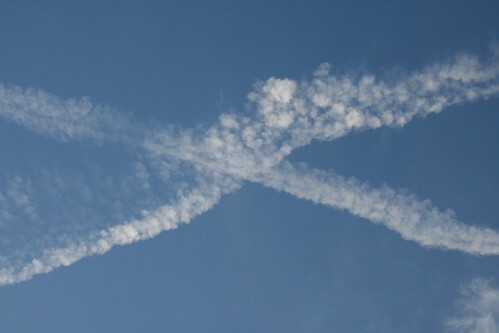 This morning we witnessed a miracle. We saw this beautiful Black Swallowtail take the first flight of her life. Whew! It was a near miss, too. I happened to notice the butterfly hanging from the branch, already out of her chrysalis and with her wings fully extended and ready to fly very soon. We had just enough time to bring her branch outside, grab the camera, and watch intently for 5 minutes as she fanned her wings in preparation for flight. Her first effort brought her down to the deck floor, but when she tried again she fluttered around our heads for a moment before shooting off across the yard, taking the most amazing flight of a being who previously had only experienced life hanging out on one singular parsley plant. What an amazing thing that must be- to suddenly be capable of flight! This has been the introduction to our learning about butterfly metamorphosis, and it has been so awesome to watch. It started a little over a week ago when I discovered a big, fat caterpillar climbing around on the parsley plants I have growing out on our deck. I went inside and consulted the wise oracle that is the Internet, and quickly found out that our visitor was none other than the larvae of the Black Swallowtail butterfly. These happen to be a super fun and educational butterfly to observe, because they change drastically multiple times during their life cycle- making them very exciting to study. Right now we have 7 caterpillars on the plant we brought inside, and 19 or 20 (or maybe more- they are hard to count!) on the plant we left outside. When we found the first big caterpillar and brought it inside to observe (on the recommendation of this website, which has been a fabulous source of info for us! ), there were also butterfly eggs on the plant. So we have been able to watch the entire life cycle from the beginning, alongside the first one as she went through her magical change. Some of the babies are getting very close to their final transformation- they only need to eat a lot more parsley and get big and fat first! And some of them are a bit further away, but it is amazing how much they can change in a short period of time. The ones in the above photo will look totally different in just a day or two! We have learned SO much about caterpillars and butterflies this week, thanks to nature happening all around us (and us taking the time to observe it!) and the internet to bring information directly to our home. It's not too late for you to do the same this year: Black Swallowtails lay eggs into September, and ours only spent 8 days in her chrysalis. If you've got some parsley growing outside you might be missing the show as you read this! We actually missed both the transformation into the chrysalis AND out of it this first time, but we were fortunate enough to see the first flight of our new butterfly. Hopefully we will get to see the other miraculous transformations with these others that we are observing in the next few weeks. Here are some links for more information about these butterflies. I really enjoy sitting and watching the pictures flash across the screen as my images upload to iPhoto. It's like a super quick slideshow of the past few weeks of our life, and I often find that I have forgotten all about the thing that I had taken pictures of! So I am trying to remember to look at these images as the gift that they are: a very important supplement to my memory. And I really want to take more seriously the impact these images (and their thoughtful organization and display) can have on my family and their own memories. I have not been doing that very well for a long time, but it feels good to be making baby steps back in that direction. Uploading the camera more regularly is one of those steps! I have found that it feels really good to see the many happy little moments we capture when we keep the camera handy and stay in the habit of taking pictures. And when I stay on top of things enough to share them with the kids and Jason regularly, we can all benefit from the memory solidification and inspiration that looking at snapshots provides. So there's another step: viewing the pictures together more often. We've been using slideshows in iPhoto and it works great- just set it to cycle through a group of photos while everyone is around to take a look, and it always gets us chatting about the people or places in the photos. Or what we want to go and do next! The Maypole was this weekend and was as beautiful as ever. Thank you so much to our friends, the Hubbards, for sharing this celebration with us. It is a day our whole family looks forward to so much! 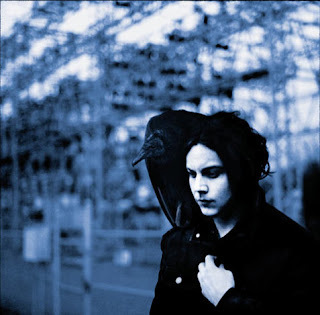 This morning's music selection is Jack White's new album, Blunderbuss. Just got it this weekend and still learning the songs, but as expected it does not disappoint. Check it out. is of Hazel very high in the air. In the parlor. I think she jumped off a chair or something, experimenting with the timer on the camera. It's great to own a tripod!! This morning I chose a live recording of Shovels and Rope playing some little club in NC (which we are so thankful to have! Thanks, Darrin!) This is a band that you do NOT want to miss if they are touring anywhere near you (dates along the right side of their site at the link above). We have had the distinct pleasure of seeing them several times in small venues around Athens, and I am so glad we did because these guys are going to go far. There are loads of great videos on the internet, but here are a few of my favorites. SHOVELS AND ROPE // BAD LUCK from SLOW RECORDS STUDIOS on Vimeo. Today I've been listening to my favorite mix of eclectic rock on the radio. Rock 100.7 WPPP Athens. If you live here, you know. Yeah. There is nothing like getting eggs from a friend with chickens. Especially when they come with special egg art and bursting with love :) They taste reallllly good, but the best part is the joy they bring our family every day when we pull this fabulousness out of the fridge. 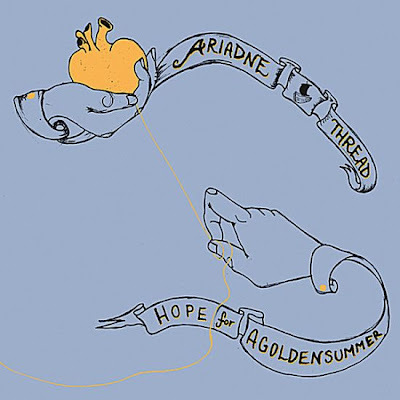 Today I have been enjoying Hope For Agoldensummer's Ariadne Thread. A good record for quiet contemplative mornings. So I said to myself, "Self? Is there any reason you couldn't grab a few random pictures that are already on your computer and throw them up on the blog? And maybe put something about what you've been listening to lately?" I couldn't think of any reasons, so I told myself to just do it. Here are my four fabulous kids. In a picture of them which I did not set up- they just squeezed together like that and then I noticed I had a camera in my hand. Seriously. I love when that happens! 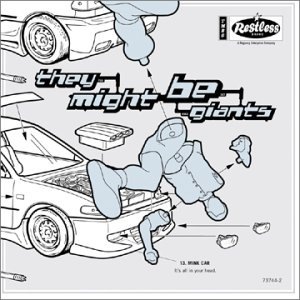 And here is what I am rocking out to this morning: Mink Car by They Might Be Giants, one of my oldest favorites. Good stuff.